Took my Million Mile Chevy to the GMC dealership here in Gilbert, AZ (1,227,411 miles) to have the transmission fluid changed. I had gone over 138,000 miles (3 years) without changing the oil. Normally go 150,000 between oil changes. Since I’ve not been driving over the road the last couple years and driving short trips…I decided it was time to change the transmission fluid. 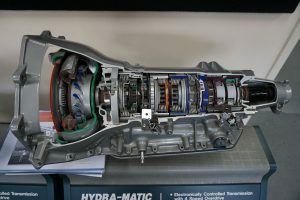 Note: Click here to see just how many parts are involved inside a 4L80 transmission. I have driven over 1,318,000 miles using the Amsoil synthetic automatic transmission fluid and the transmission has never been overhauled or had one repair done to it! Even though it was still nice and red on the dip stick…I was getting concerned about the transmission filter maybe breaking down or possibly plugging. Adding to that is the sizzling hot summers here in the Phoenix dessert…sitting and idling in traffic when its 115 degrees…puts more stress on the engine and transmission fluids. I talked to the service manager at the GMC dealership…and was told they had a machine that would do a complete transmission flush…which is what I was looking for. If you don’t do a complete transmission flush…you’re just wasting you money. Plus you’re putting your transmission at risk in the future by not removing all the contaminated oil. I was a little concerned about taking my van to another dealership. Reason being…the Chevrolet dealership in Greenville, OH…had taken great pride in servicing my 99 Chevy van for 1.2 million miles…and had few issues with their work performed on my van. 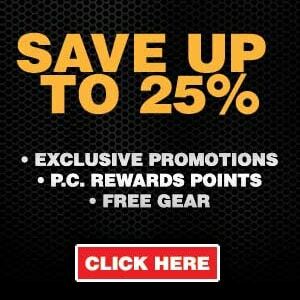 order with Amsoil. A two and one half gallon jug…a one gallon jug and three quarts…totaling 17 qts of the Synthetic Transmission Fluid and a Wix transmission filter. The day I took it to the GMC dealership…I asked the service manager if it was okay to talk with the technician that would be doing the flush on my transmission. She said no problem. After speaking with him…he showed me the flushing machine and explained how it worked. I asked him to let me know when he dropped the transmission oil pan…I was extremely interested in seeing what the inside bottom of the oil pan looked like…plus there’s a magnet in the bottom of the pan…and that was the one item I was anxious to see. Why? Metal shavings…that’s what the purpose of that magnet is for…is to collect them. And if there’s lots of them…it’s an indication your transmission is experiencing significant wear and a potential repair looming in the near future. About 30 minutes later…the technician had me come back to his work station where he was working on my van. He’d just dropped the transmission oil pan…so I got to see firsthand the inside bottom of the pan. The oil pan was clean. No debris or sludge. Then I spotted the magnet. The magnet was going to tell me how my transmission was doing. At first glance…I could not see anything on the magnet. So I rubbed my finger around the magnet…amazingly…there was no metal shavings on the magnet…the magnet was clean! Even the technician commented on how clean everything was. And me…I was bubbling over with enthusiasm once again at “how remarkably tough” the Amsoil transmission fluid really is. At 1,318,000 miles…it appears the “original transmission” in my 99 Chevy van…can blame the Amsoil synthetic transmission fluid for this remarkable achievement. If this story does not cause you to want to change all your vehicle fluids over to Amsoil…then your wood is wet! More importantly…the fella in Wisconsin that drove his 91 Chevy pickup truck 1 million miles…went through 5 transmissions! Estimated bill: $17,500. 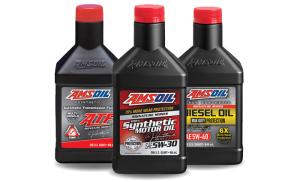 Amsoil synthetic transmission fluid in your vehicle should be changed every 100,000 miles. be able to drive 150,000 miles between transmission oil changes. the engine running…pull the transmission dip stick…wipe it clean…re-insert…then pull it out. the level is back between the two lines. the vehicle attached to the side of the transmission that you remove to determine if oil needs to be added. My advice if you’re not a DIY…take it to a dealership or repair shop to have it checked. the technician needs to add fluid. proven that the Amsoil synthetic fluids will make your vehicle almost immortal. If you want to tap into my Million Miles of experience…here’s my number…937-417-1127. I’ll be glad to help you match up the correct oil and filters for your vehicle or equipment. If you get my voice mail…leave your name and phone number and I’ll call you back ASAP. You can call Amsoil toll free at 800-777-7094 Monday – Friday 8 am – 5 pm CST to order products. You can also call tech support at 715-399-8324 to help you get the right oil and filters for your vehicle or equipment. Thank you for using my ID#516778 when ordering.